Earrings are such a fun and creative way to accessorize an outfit. It's a way to show the world something special about you and your character. Which part of your character show with Fancy Tassels? Is it fly and free, like the way the earrings sway back and forth? Maybe classy and chic? The way the length of the earring flows and ends with the fad fabulous tassel. What you’ll love: the fun of swaying and swinging in these all day long. Light enough to wear dressed down, or fancy enough to wear dressed up. The lovely purple material draws the eye, while the bright silver tone infinity charm makes it a great pairing with a variety of styles. 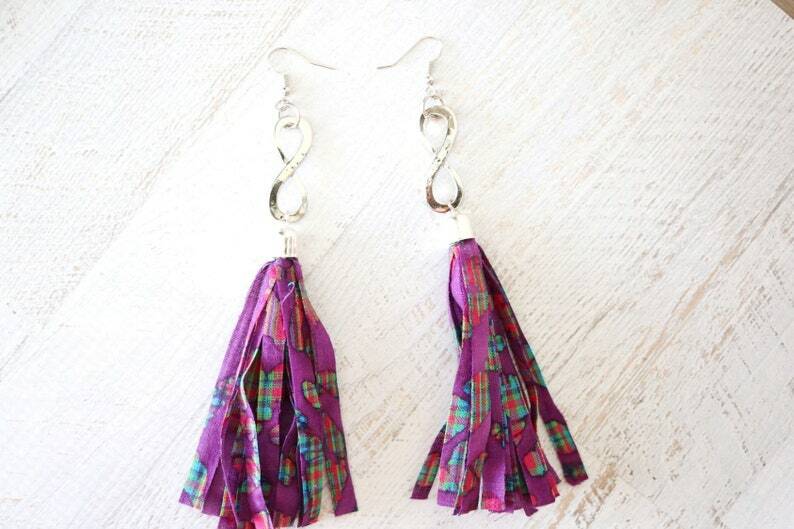 Get your "Fancy Tassels" on!